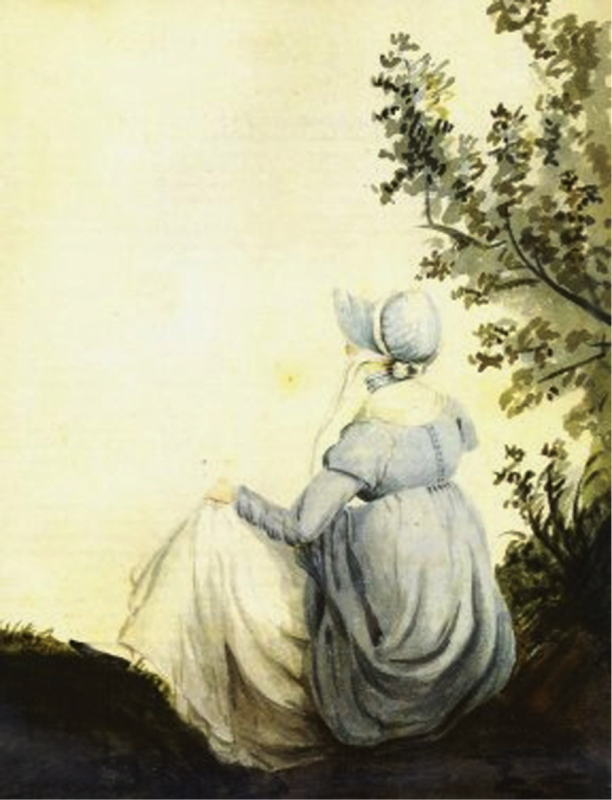 Jane Austen Travel: Essential Places to Visit – Faith, Science, Joy, … and Jane Austen! Are you hoping, or dreaming, of traveling this year? I love visiting England; so many wonderful places, so much history, as well as interesting people to meet. Let’s take a virtual trip together! In the coming weeks I will share some of my favorite places with you, as well as “wish list” places that I’d like to visit some day. I’ll give you links so you can explore more on your own. I hope we will not be “like other travellers, without being able to give one accurate idea of anything” (Pride and Prejudice)! Pianoforte at the Jane Austen House Museum in Chawton. They’ll let you play on it if you wish! The Jane Austen House Museum is the home in Chawton where Jane spent the last years of her life and wrote or revised all her books. It’s beautifully furnished and explained. A lovely garden includes plants and herbs Jane and Cassandra might have grown. The gift shop is also delightful. Chawton is a little out of the way to get to, but worth it. Interior of St. Nicholas’ Church in Chawton, where Austen and her family worshiped. Walk a short distance down the street to see the church Austen attended, St. Nicholas’. The graves of Austen’s mother and sister are behind the church. Also visit Chawton House, the manor house that belonged to her brother Edward Knight, next to the church. Chawton House is now a library of women’s writing. You can make an appointment online to do research there. Cassandra’s Cup across the street from the Jane Austen House Museum is a lovely B&B to stay in. To get to Chawton, you’ll go through Alton, the closest major town. St. Lawrence’s Church is worth a visit. Ask someone to show you the bullet holes from fighting in Cromwell’s time. You can get a map to find other Austen-related sites in town, including the Curtis Museum, with historical and scientific exhibits. Alton hosts a yearly Regency Week in June with fun events in Alton and Chawton including a fair, a ball, tours, and fascinating talks. Nearby in Selborne, you can visit Gilbert White’s House and Gardens, home of of the most famous naturalist of Austen’s age. Gilbert White was also a country parson. The museum commemorates Frank and Lawrence Oates, explorers about a century later, as well. The squire’s family sat in this box pew in the tiny church at Steventon. They could see but not be seen. It’s now used as the vestry, the minister’s office, at the back of the church. Austen is buried in Winchester Cathedral. A stained glass window and other memorials commemorate her. Across the street there is a plaque on the house where she died, but you can’t go into the house. Bath is a lovely Georgian city; my favorite city in the world. Spend at least three days here if you can. Walk the streets Austen walked and see many of the places mentioned in her stories. (One of the things I love about the town is that it is small enough to walk everywhere!) The Jane Austen Centre offers an audio tour that you can download, which will guide you around the city, identifying important places in her life and novels. Plaques label several houses she lived in. The Centre also sometimes offers guided Austen walking tours. Free general tours of Bath are offered daily by local volunteers. For researchers, the public library has great local resources. Be sure to visit the Jane Austen Centre, with exhibits about her life, a few doors from one of the places she lived. And don’t forget the gift shop, where you can get a map of Austen’s Bath and many other goodies. Austen probably danced in these Assembly Rooms; they were the Upper Rooms. The Royal Crescent is still a place for picnicking and hanging out. No. 1 Royal Crescent is a beautifully redone Georgian home at the beginning of the Crescent. Each room shows many aspects of daily life, and volunteers can answer your questions. One of my favorite bits is the electrical machine in the study, which you can use to make a spark. There’s also a cabinet of curiosities, with artifacts from far-off places. If you have time, you’ll also want to see the Roman Baths where the Georgians used to bathe for their health. (You can get cheaper combined tickets for some attractions, so decide where you want to go from the beginning.) You’ll definitely want to go into the Pump Room and try some of the water, which is free; it’s a delightful place to have a meal or tea as well. You might see a play at the Theatre Royal, built in 1805, or take a fascinating tour of the Old Orchard Street Theatre (the one Catherine Morland would have gone to). You could wander around Sydney Gardens as Austen and her family did, and see the excellent Holburne Museum (some of my favorites there are cartoons from Austen’s England). Items that might have been found in a lady’s reticule. I attended a fascinating talk on this at the Jane Austen Festival in 2016. The talk was held in a home high over the city, in the area where the Elliots of Persuasion lived! And of course the best time to visit Bath is during the Jane Austen Festival in September, when there are many fun events! Be sure to buy tickets well ahead of time for the events you want to go to; many of them sell out. There are many interesting churches in Bath. I suggest a visit to St. Swithin’s Walcot (though it’s a steep hike uphill), where Austen’s parents were married, and certainly to Bath Abbey. If you have time, the Octagon Chapel (which keep changing hands, so may or may not be open), the Countess of Huntingdon Chapel (Building of Bath Museum), Christ Church, and the Argyle St. Chapel are worth visiting. I love the Herschel Museum of Astronomy, in the house where Herschel discovered the planet Uranus from his back yard. This is where I first learned about his astronomer sister Caroline. The Bath Royal Literary and Scientific Institution (BRLSI) formed a few years after Austen’s death. They sometimes have interesting special exhibits about science in Bath, as well as good books for sale. In the coming weeks we’ll “visit” more Austen-related places, then places specifically related to faith and to science in Austen’s England. JASNA yearly tours open up homes and places most tourists won’t see as well as standard sights. You need to join JASNA to participate. Past tours may also give ideas of places you might want to go on your own. A friend of mine, Laura Dabundo, is offering a literary tour of southern England in July, 2019, visiting places related to Jane Austen, Thomas Hardy, Geoffrey Chaucer, and William Shakespeare. It sounds fantastic! Contact her for details at ldabu1975@aol.com. Austen-related: Chawton, Steventon, Bath, Winchester; Oxford, Cambridge, Lyme Regis, Brighton, London, Stoneleigh Abbey (WL). Faith-related: Churches at Chawton, Steventon, Winchester, and Bath; Newton and Cowper Museum at Olney; London: Wesley Church and Museum, Clapham (WL), St. Mary Woolnoth (WL); Wilberforce Museum in Hull (WL); Hamstall Ridware (WL); Stoneleigh Abbey chapel (WL); Hannah More sites in Cheddar (WL); churches and chapels at Oxford and Cambridge. What do you hope to achieve from travel? Enjoyment? Broadening your ideas of the world? Connecting with interesting people from the present or the past? New knowledge? Excitement, or peace? Opportunities to impact other lives? Consider your goals before making your plans.